Running is one of the most accessible and popular forms of cardiovascular exercises, with tens of millions of regular participants worldwide. In fact, surveys show that in the United States alone, about 40 million people run regularly, with roughly 10 million running at least 100 days a year. That said, for all the fitness and health benefits that can be gained from running, this sport often leads to injury. Surveys estimate that up to 50 to 70 percent of runners incur at least one serious injury in the course of one year. In fact, the rate of injuries reported in the scientific literature varies from 3 to 12 injuries per 1000 hours of running. That translates to up to 10 to 15 million people getting hurt. In other words, as a runner, you’re fated to pick up more than one injury over your running career. What is A Running Injury? The term “running injury,” basically, refers to the kinds of injury that may be sustained during running. It’s pain or damage that occurs as a consequence of training. Injuries happen when a particular body part is placed under excessive stress that it can no longer function properly. This can force a runner to reduce their weekly training mileage or stop training altogether in cases of severe pain. A running injury can not only affect how you run, but could also upset how you walk, play, work, exercise, and do everything else in life—especially if it’s a serious ailment. I have already covered in detail some of the most common running injuries. You’ll find links to the posts at the end of this post. 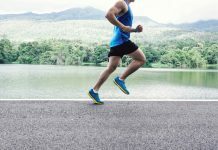 But, all in all, running injuries, and sports injury, in general, can be broadly categorized into two types: acute, or sudden onset, and chronic, gradually occurring onset. To ward off injury, it’s vital to distinguish between these two types of injuries as it would provide you with a better perspective on how to deal with them for both the short and the long term. Note: This blog post only scratches the surface when it comes to a full education on training injuries. That’s why you must do your research if you are serious about understanding the mechanics involved in athletic injuries, along with the many ways of treating and preventing them. An acute injury is usually associated with a particular, traumatic, incident where you “felt it pop” at some point, whether it’s due to a fall, crashing into another runner, twisting an ankle, getting hit by a car, etc. In other words, acute injuries happen in the blink of an eye. They can sneak up on anybody. That’s why preventing them is no easy feat. That said, you can cut the risks of acute injuries by being aware of your surrounding and running surfaces, especially if run on trails or near heavy traffic regions. Most acute traumatic injuries can cause your ligaments to snap, muscles to tear, bones to crack, etc. The range of severity varies. Acute injuries can be minor, a blister for instance, or more severe, such strain, laceration (or cut), broken bone, or, most commonly, sprains. In general, strains and sprains are the most common type of acute injuries we usually sustain while hitting the pavement. A strain is a tear, pull, or twist of a muscle or tendon, the cord of tissue attaching muscle to bone. Strains occur due to overextending or overstretching the tendon beyond its normal range of motion, tearing it in the process. On the other hand, a sprain is a tear or overstretch of a ligament, the band of connective tissues that attach the end of one bone to the other. These are typically caused by overstretching (forcing beyond their range of motion) a wrist, knee, or most commonly among runners, the ankle. Inability to move the affected joints through full range of motion. 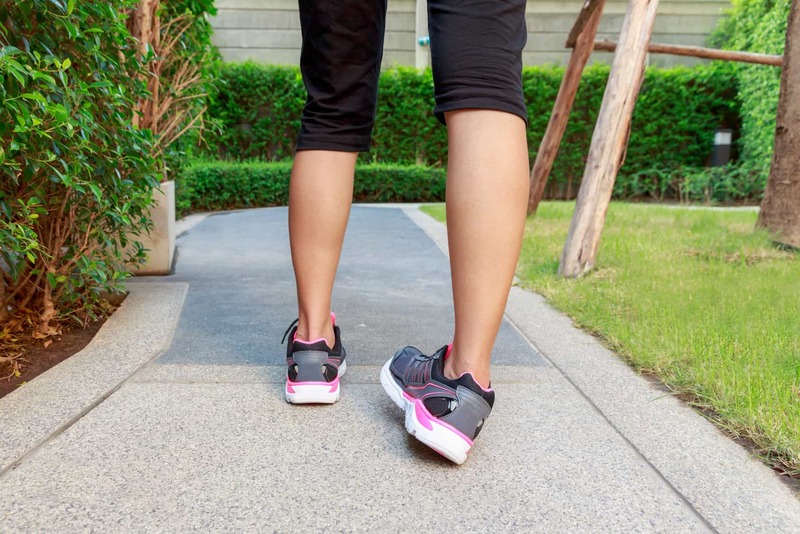 Visible swelling can also accompany tendon damage—injury to the band of tissue that attaches your muscles to bones, and ligament damage—the band of tissue that supports your joints. Although acute injuries are not that common among runners, they can stop you in your tracks when ignored. As a result, the speed of treatment of an acute injury is a vital factor in determining recovery time. The sooner you treat it, the shorter the recovery. When it comes to acute injuries, the RICE method should be your first line of defense. In fact, the RICE method is still one of the most recommended approaches for the treatment and management of acute injuries. The primary purpose of the RICE method is to reduce hemorrhage, inflammation, swelling, and pain, all of which may provide the right conditions for healing to take place. R: Rest. At the onset of pain, reduce your running, or stop altogether, especially if it’s affecting the way you run or if it’s too much to handle. I: Ice. Research suggests that cryotherapy is most useful for dealing with acute injuries. In general, ice the injured limb 10 to 15 minutes, two to three times per day for the first 48 to 72 hours post-injury. Never ice it for more than 20 minutes at a time. C: Compression. Compress the injured limb to hinder any swelling and movement that could damage it further. E: Elevation. Keep the injured limb elevated and supported on a pillow—preferably above heart level, to help reduce swelling and pain. So, for instance, if you step on a rock and twist your ankle, the first step toward recovery is to let your ankle and surrounding ligament and tissue heal. If you cannot put weight on the injured ankle, then crutches may help. Next, apply an ice pack to the injured limb for 15 to 20 minutes at a time, five times a day. Furthermore, be sure to use an elastic wrap, air casts, special boosts, or a splint to compress the injured area. In case you don’t know which approach is more appropriate, consult with a certified physician or a health care provider for advice. Also, if possible, keep the injured ankle, elevated on a pillow, at least, above heart level. As previously stated, not all acute injuries are created equal. In extreme cases, an acute injury will require immediate medical attention—especially when accompanied by high levels of pain and inflammation. Surgery can put broken bones back in place, fix torn ligaments and tendons. So, please do not think twice if you got yourself into a real mess. Commonly known as overuse injuries, as the name suggests, these conditions are caused by overuse of a specific part of your body while running. More specifically, chronic running injuries are the result of repetitive micro-trauma to the joints, bones, and tendons. They develop slowly over time as a result of prolonged repetitive stress applied to the soft tissues of the body. 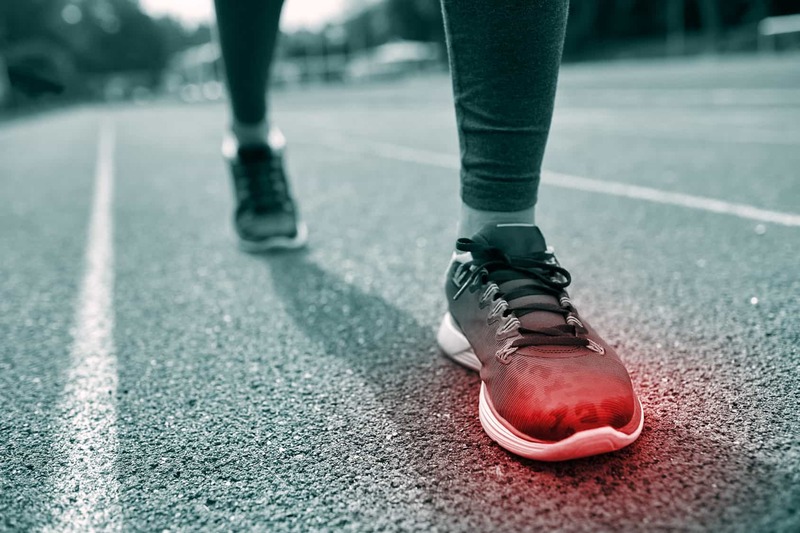 Chronic injuries are, by far, the most common type of injuries, outnumbering acute injuries among runners of every background and training level. Nonetheless, since most chronic injuries are not instantly debilitating, tend to be lower in pain compared to acute injuries, they don’t attract immediate medical attention than those that result in an instant and sudden loss of function. Out of these two types of injuries, I’d say that the chronic category is most dangerous since the pain is minimal –especially during the early stages—but will last for a long time. Soft tissue compartment. Example, compartment syndrome. Periosteum cartilage—the covering of the bone. Example: shin splints. The majority of running injuries are lower extremity injuries— usually, injuries of the foot, lower leg, knee and the hip. The knee is the most affected area and most commonly injured body part. In fact, research estimates that knee-related injuries are the most common, ranging from 30 to 50 percent of all lower extremity injuries. Next, 17 percent strike to the ankle and foot region, 13 percent to the lower leg, and last, but not least, 11 percent of the pelvis and hip area. Chronic injuries are harder to diagnose than the acute type as the cause is often unclear, or unknown. But, when left untreated, the pain that comes with chronic injuries is debilitating and may interfere with a runner’s ability to train, work, and participate in daily activities. Sharp, often debilitating, pain while running, or performing any weight-bearing movement. Just keep in mind that all these warning signs might be present but not noticeable during the early stages. Although overuse injuries are common in the running world, they are elusive and typically occur over time, which makes them hard to diagnose and treat. For dealing with chronic injuries, you may still apply the RICE method. That said, in some cases, the RICE method might not enough, and won’t prevent further recurrence. As a result, you’d need more tricks up your sleeves. Thus, make sure to implement a pro-active and comprehensive injury treatment to speed recovery and prevent a future flare-up. This can not only help improve your performance but also bulletproof your body against common injury. 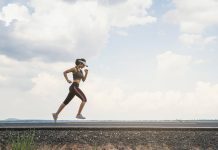 Research suggests that the majority of runners suffering from injuries may have failed to include injury preventions routines into their exercise program. As I stated in a previous article, regular strength training can help you fix muscle imbalances and ensure proper movement throughout your kinetic chain. By investing 20 to 30 minutes three to four days a week, on post-workout stretches and proper strength work exercises, you can drastically reduce your odds of incurring injuries. Here are a few strength routines and stretching sequences to consider. Taking a couple of days of rest, which is the case for most acute injuries, might prove insufficient in dealing with an overuse injury. Therefore, if you’re suffering from a serious overuse injury, then stop running altogether, or at least, until symptoms improve. Some overuse injuries may take one week whereas others may require at least of a couple of months off of the running field to heal completely. During your layoff time, feel free to do plenty of low-impact exercises, such as aqua jogging, spinning, yoga, gentle strength training, and swimming. As long as there is no pain in the injured limb, you’re good to go. In case symptoms persist, consult with a doctor, podiatrist, or certified sports injury specialist for more intensive care. In fact, professional assessment is highly recommended for dealing with overuse injuries. Yes, that’s a lot to keep track of—that’s why preventing injuries are easier said than done. Don’t get me wrong here. The above guidelines are just the tip of the iceberg when it comes to the measure you need to take to treat running injuries and prevent further flare-ups. So, if you still hunger for more, make sure to check my running injury treatment and prevention page.